HomeTeaching Tips & TricksHOW TO TEACH SHAKESPEARE: WHAT DOES THE BARD SAY? Shakespeare shows us what effective language teaching should be. His works engage and keep our attention. They make us remember the message, and they have an impact on us for the rest of our life. There are many debates on whether Shakespeare’s poetry should be introduced in the classroom or shouldn’t, and if the answer is yes, whether we should introduce his plays and sonnets at an early stage, or when we teach more advanced learners, or whether we should focus on the message, or on the language, or both. The very fact we’re debating over it proves that the Bard still doesn’t leave us indifferent. Here are some tips that may apply to introducing the Bard’s great works in the classroom to engage learners and improve their understanding of the Bard’s poetry. How can plays written in the 16th century be relevant to students today? How can we teach Shakespeare to students who don’t speak English as a first language if many native speakers struggle to understand the archaic language? Though quite a number of teachers feel that Shakespeare should be saved for advanced students majoring in linguistics or philology, there are still many teachers who feel that learners of English should not be denied the many benefits that positive experiences that Shakespeare’s poetry can bring. “Go wisely and slowly. Those who rush stumble and fall”. 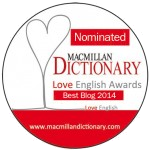 If you are an avid lover of Shakespeare, the first thought will be to bring Romeo and Juliet (after all, love makes the world go round) and read, and read, and read. And then you will look around and see your students showing the crushing boredom on their faces, which will inevitably lead you to the conclusion that “kids just don’t get poetry nowadays”. When I began to consider introducing Shakespeare in the classroom, I tried to find a meaningful way for my students to explore the Bard’s works, both in terms of the language and message. However, remembering my own first encounter with Shakespeare and my desperate struggle with the text, I decided to give my students just a taste of the Bard and get them to think how Romeo and Juliet’s love story could develop in modern times. (See O Romeo, Romeo, wherefore art thou Romeo?). It was the first step followed by more and more activities, gradually moving to more complicated messages and introducing the language and language analysis. “For she had eyes and chose me”. A picture’s worth a thousand words. Shakespeare did not write his plays for the audience to read, did he? To ask students to read Shakespeare before they see the performance, or perform themselves, is certainly asking a lot. As David Crystal says in his interview, “You’ve got to see the pictures to understand what’s going on. Never introduce it in the book until they’ve seen it on stage…you got to have the love first before you study the book”. (See the IATEFL interview with David Crystal where he talks about Shakespeare including practical tips for teachers on how to engage learners with Shakespeare and how they can improve their understanding of the great works here.) To show relevance of Shakespeare, it’s a good idea to place the original work in a recognizably modern setting providing just the right combination of then and now. Here’s a lesson built around Shakespeare’s Sonnet 29 – Reading Shakespeare: Making it a Living Experience. Students watch a short film with no sound and speculate about the story it tells, read the Sonnet and discuss its meaning. 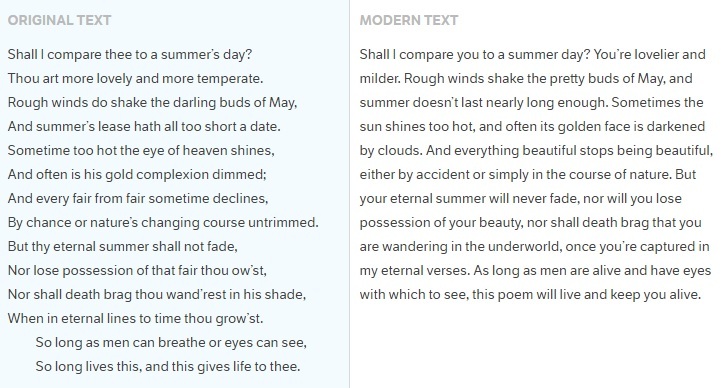 You would certainly find interesting (and useful for the classroom) the Sonnet Project of New York Shakespeare Exchange that offers a fresh perspective of Shakespeare’s poetry and themes. Hip-hop and Shakespeare? Andrew Nielsen, more commonly known as MC Lars, has experienced first-hand the power and influence of music and Shakespeare. He describes his experience in the TED-talk which could be used in your classroom both to look at Shakespeare’s works and “add some beat” at the same time. The following video can be used to practise the beat https://www.youtube.com/watch?v=DSbtkLA3GrY (5:30 – 6:15 and a different beat 6:20-7:10). Get your students to be the characters in the play. Once they realize that Romeo and Juliet are just like them, they will remember and love both the characters and the play. Here’s a lesson plan to help you stage the first production in the classroom – O Romeo, Romeo, wherefore art thou Romeo? Later on, you can proceed with some more complicated tasks involving language analysis as well. And rather than letting constant explanation ruin the fun, it’s probably a good idea just to let the beat go on, immersing students in the flow of speech at its most magical in the original pronunciation. I hope these ideas will help you trigger your students’ interest and get them explore Shakespeare’s world to say “I like this place and willingly could waste my time in it”. 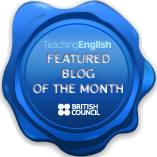 You can find more interesting ideas how to teach the Bard’s works, as well as a vast collection of resources and lesson plans, on the website of the British Council here. If you teach English for Business, don’t miss this inspiring article on business and Shakespeare from English with a Twist.